Are your organization’s transformation efforts falling short? Are you feeling ill-equipped to support the volume and rate of change? You are NOT alone! 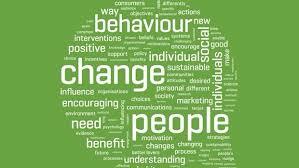 Learning three ways to implement behavior change. Michelle is a certified change management professional (CCMP) and holds a Master’s Degree in Organizational Behavior from Benedictine University. She is a frequent presenter and contributor to multiple associations including ACMP, ATD, and PMI.